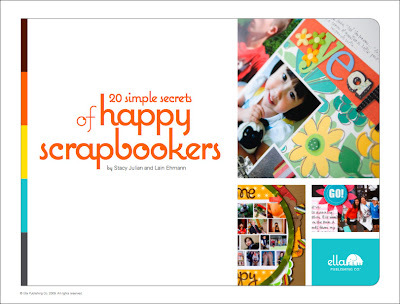 So who wants a free ebook from Ella Publishing Co. and learn 20 Simple Secrets of Happy Scrapbookers? Yes...I know...you all do, but I could only pick one winner and since I couldn't choose, I let the True Random Number Generator at Random.org do it for me. So, lucky commentor #2 is the winner this time! CONGRATULATIONS, RACHEL!! Watch your email as I'll be contacting you soon with further details on how to claim your prize.